Al Musbah Group (AMG) is a successful network of companies thriving in diverse businesses across Saudi Arabia. Commencing business as a retailer of perfumes, the Group has since expanded business into varied sectors; Real Estate, Retail, Construction, IT, Food & Beverage, Xplora Travel Retail, ForeVision, Al Musbah Telecom, and BYD Auto Dealership, to name a few. Manufacturing our own brand of Al Musbah cosmetics and fragrances, and retailing our Xplora brand of travel accessories, we operate more than 40 SENSI perfumes and cosmetics outlets across the Kingdom, as well as the 9000 sq m Abraj Hypermarket and the Abraj Avenue department store in Makkah. Winning the bid to inaugurate Duty Free Shops in Saudi Arabia in partnership with World Duty Free Group, we successfully launched and operated the Kingdom’s first Duty Free Shop in Jeddah airport followed by two more shops in Riyadh and Dammam airports. Our Hospitality unit Meeza also operated 12 VIP lounges in 4 International and 8 Domestic airports across Saudi Arabia, in addition to Meeza First Class and Business Class at Madinah airport. With our work force of nearly 5000 employees given the power to exercise initiative regular seminars, training and workshops, facilitate being in sync with customer needs. SENSI is a perfumes and cosmetics shop offering a diverse selection of premium products. From hard-to-find brands to classic names to our own brands, SENSI offers customers more than 2,500 products and over 100 brands. Our gift selections include an array of delightful items that are sure to please family and friends. Launched in 2008, SENSI is the first perfumes and cosmetic shop in the Kingdom to allow customers to try products on offer. There are currently 41 dedicated SENSI outlets operating in Saudi Arabia. Abraj Avenue brings a world-class shopping experience offering quality and a wide collection of merchandise in a customer friendly atmosphere. Catering to the millions of pilgrims visiting The Holy City of Makkah throughout the year, our merchandise includes international and homegrown brands of perfumes, cosmetics, accessories, silver, Islamic souvenirs, dates, confectionery, toys and much more. Inspired by the simple lines of trendy modern design and balanced with a unique touch of arabesque identity, the department store is located on the 3rd floor of Abraj Al Bait (Clock Tower) in Makkah. Located in airports, Xplora is a travel retail shop offering a variety of products for people on the go. It has luxury leather goods, accessories, eye wear, and perfumes. There are also books, toys, electronics, souvenirs, and confectionery. Located on the 4th floor of the Abraj Al Bait (Clock Tower) in Makkah, the 9000 sq m, Abraj Hypermarket offers customers “more choice, and more savings all on one floor!” Offering essentials from grocery lines to general merchandise, Islamic souvenirs, toys, gift items and much more, the Hypermarket is open 24/7, to serve the millions of pilgrims visiting the Holy City of Makkah, throughout the year. 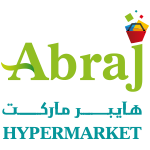 With its close proximity to the Masjid Al Haram, and its exciting monthly promotions and offers, the Abraj Hypermarket is a popular shopping destination among pilgrims and residents alike. The Group’s hospitality unit, Meeza, successfully upgraded and operated 12 VIP Lounges in 4 International airports and 8 Domestic airports across Saudi Arabia, in addition to the First Class and Business Class lounges at Madinah airport. Launched in Jeddah airport in 2013, the lounge also offered baggage handling and luxury private car services to it’s Members and guests. 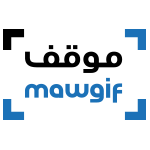 In business for over 15 years Mawgif, our National Parking Company has been serving motorists and helping ease the flow of traffic, operating 50,000 parking spaces, not only in Saudi Arabia but also in Jordan and the United Arab Emirates. With the head office located in Jeddah, Mawgif manages on-street and airport parking spaces, inclusive of building the infrastructure. 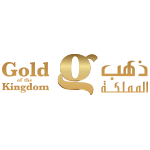 Tantalizing the Saudi market, Gold of the Kingdom outlets offer exclusive Galaxy Gold & Jewelry in Jeddah, Makkah, Madinah, Riyadh, Dammam & Abha airports. From gifts for brides to everyday styles, the collections are specially selected to cater to every taste and occasion. Coupled with exclusive offers, customers will find the most perfect gifts, and timeless treasures. 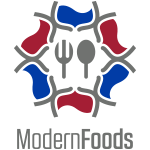 Modern Foods has been operating restaurants in airports, down-town areas, and government offices in Saudi Arabia for over 20 years. Our knowledge and expertise in catering are exemplary and our standards high, having recruited international experts and forged a partnership with SSP Group to improve our services. Al Musbah Telecoms was launched in 2004. Four years later, it took a minority stake in Mobily, the second biggest telecommunications network in the Kingdom. As distributor of Mobily, we have 60 branches nationwide with 900 plus dealers. Our IT subsidiary, ForeVision Business Solutions, was established in 1999. It prides itself in having worked for big clients such as Saudi Aramco. 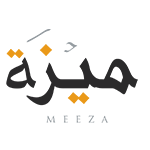 Among its products and services are document management, e-messaging, and software development for office needs. BYD Auto was founded in 2003 as a subsidiary of BYD Company Ltd., China. It now has branches in many parts of the world, including Saudi Arabia. In partnership with Al Musbah’s First Advanced Auto, which was launched in June 2014, BYD is positioning itself as an innovative company with its electric cars and remote control technology. BYD has five showrooms in Jeddah, Riyadh, and Dammam. A showroom in Abha will be opening soon. 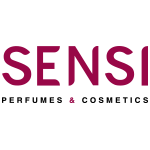 SENSI is a perfumes and cosmetics shop offering a diverse selection of premium products. From hard-to-find brands to classic names to our own brands, SENSI offers customers more than 2,500 products and over 100 brands. Our gift selections include an array of delightful items that are sure to please family and friends. Launched in 2008, SENSI is the first perfumes and cosmetic shop in the Kingdom to allow customers to try products on offer. There are currently 41 dedicated SENSI outlets operating in Saudi Arabia. The Group’s hospitality unit, Meeza, successfully upgraded and operated 12 VIP Lounges in 4 International airports and 8 Domestic airports across Saudi Arabia, in addition to the First Class and Business Class lounges at Madinah airport. Launched in Jeddah airport in 2013, the lounge also offered baggage handling and luxury private car services to it’s Members and guests..
innovative company with its electric cars and remote control technology. 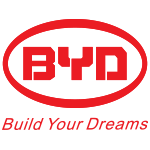 BYD has five showrooms in Jeddah, Riyadh, and Dammam. A showroom in Abha will be opening soon. © 2017 Al Musbah Group. All rights reserved.